Claimed to be the best Land Rover show in the world. 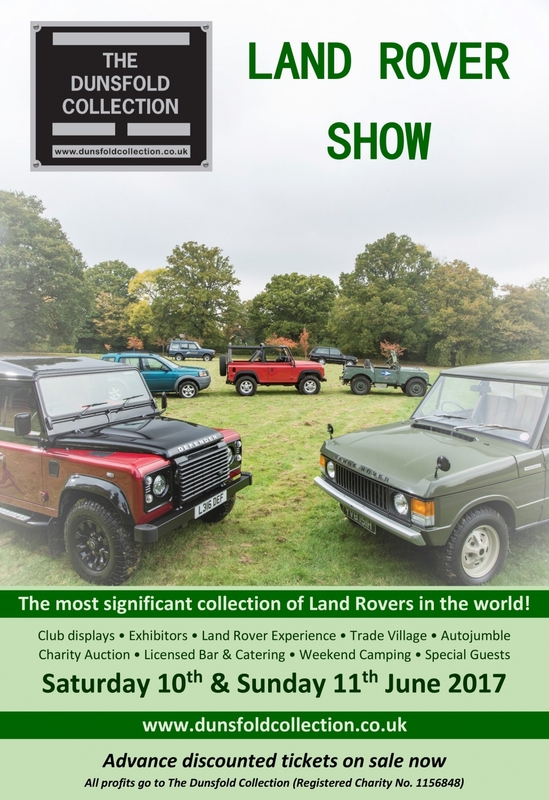 It used to be called ‘Open Weekend’ but in recent years it really has become so much more than that, so this year they are calling it The Dunsfold Collection Land Rover Show. Because that is was it is, a Land Rover Show. It is the only Land Rover Show that has the world’s most significant collection of Land Rover vehicles at its heart, as well as tremendous displays from the most important Land Rover vehicle clubs, and a wonderful car park full of Land Rovers belonging to visitors! The Open Weekend will be just as interesting and exciting as ever. As usual, weekend camping, catering and hospitality, a licensed bar, trade village, autojumble and, for those camping on the Saturday night, an amazing and fun charity auction.